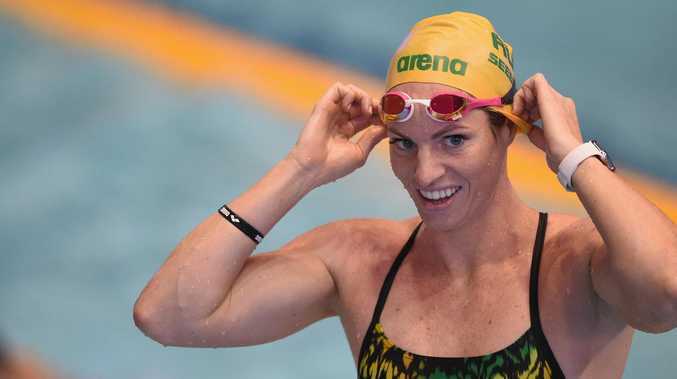 EMILY Seebohm admits her preparation for the Pan Pacs has been "here, there and everywhere" but not even that could stop her from setting a championship record in the 100m backstroke heats in Tokyo. Seebohm only joined the Australian team days before the Pan Pacs after leaving camp in the wake of her breakup with fellow backstroker Mitch Larkin. After making their split public on social media almost a month ago, Seebohm has been in and out of the Australian set-up, preferring to "live in my own bubble" in Brisbane and prepare for the competition with home coach David Lush. "I didn't really know where I'm at, it's not been my best prep but (I'm) just coming here and toughing it out and trying to race the best in the world," she said. Seebohm only joined the Australian team in camp in Cairns 10 days into their two-week preparation, before returning to Brisbane while the rest of the Dolphins team headed to staging camp in Nagaoka, Japan. Given that, her performance at this meet was unknown. But in one of the hottest fields of the championships, Seebohm set a championship record of 58.79 sec in her heat, before former world record-holder, Canadian Kylie Masse, broke it in the next heat with a swim of 58.29. Current world record-holder, American Kathleen Baker, splits the pair in the seedings for tonight's final after touching the wall in 58.41. She then flew directly to Tokyo on Monday, joining the team just over 48 hours from the start of competition. "It wasn't ideal but it was the best of a worst situation," she said. "It was nice to go back home and kind of live in my own bubble and do my own stuff but as to what I'm capable of, I don't know because it's definitely not been a great prep." While her morning swim was a confidence boost, she does not know what to expect tonight. "I just kind of went in there and I've really got nothing to lose," she said. "I'll go again the same tonight and see how I go. "I've been here, there and everywhere, so we'll see how I go." Larkin has been on song so far in Tokyo, helping Australia to gold in the mixed medley relay on the opening night of competition, with his split time in the 100m backstroke faster than the time he posted to win gold at the Commonwealth Games in April. 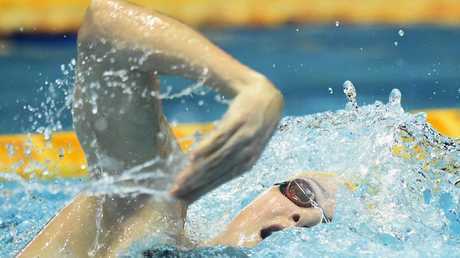 But he also described his preparation as "challenging" in the wake of his breakup with Seebohm. "It's been challenging but we had a fantastic camp in Cairns and the St Peters squad as well as the whole Dolphins squad has been awesome and it's been a fantastic environment to train and race together, so I feel really good," he said. He was solid in this morning's 100m backstroke heats and like Seebohm, will line up in the final tonight. "I'm pretty happy with that swim, it was pretty cruisy," he said. "The confidence is good and I know tonight will be a good battle with (Ryan) Murphy and (Matt) Grevers." In other heats, Cate Campbell advanced to the women's 100m final with the fastest time qualifying time following her scintillating relay swim last night. "I'm quietly stoked about that. To get under 51 sec is pretty good I'll pat myself on the back, I knew I had done a good race when I hit the wall because I knew I had executed it well, I'd swum it smart which for me is the main thing heading into all my races," said Campbell, who posted the fastest relay split in history on the opening night of competition in Tokyo to help Australia to relay gold. Kyle Chalmers and Jack Cartwright qualified for the men's 100m final, with both men primed for tonight's decider. "I obviously pulled out of the (200m) B final last night which helped me prepare to swim fast this morning and I'm really happy with that," Chalmers said. "It's a very good morning swim but there's always room to improve on things. "I'll go home and have a rest and by the time I get back to the pool tonight, my coach will have looked at the race and found some points I need to practice in the warm-up tonight. "But to be in the final is the most important thing."